Isaacson does an amazing job of recounting Franklin’s impressive life and how it helped shape America’s values and character. Franklin rose through the ranks to become one of the world’s most foremost scientist, writer, inventor, diplomat and political leader. So impressive to me how many different fields Franklin was successful in. He took practical and actionable steps in every one of these fields and I think that is what set him apart. He did not waste much time on theorizing or on other pursuits that would not have some immediate benefit. 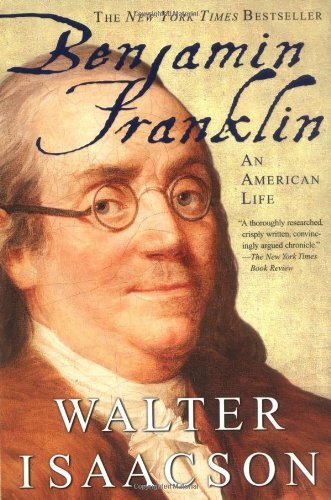 This entry was posted in Books and tagged America, Benjamin Franklin, History, Walter Isaacson on March 11, 2015 by Blas.